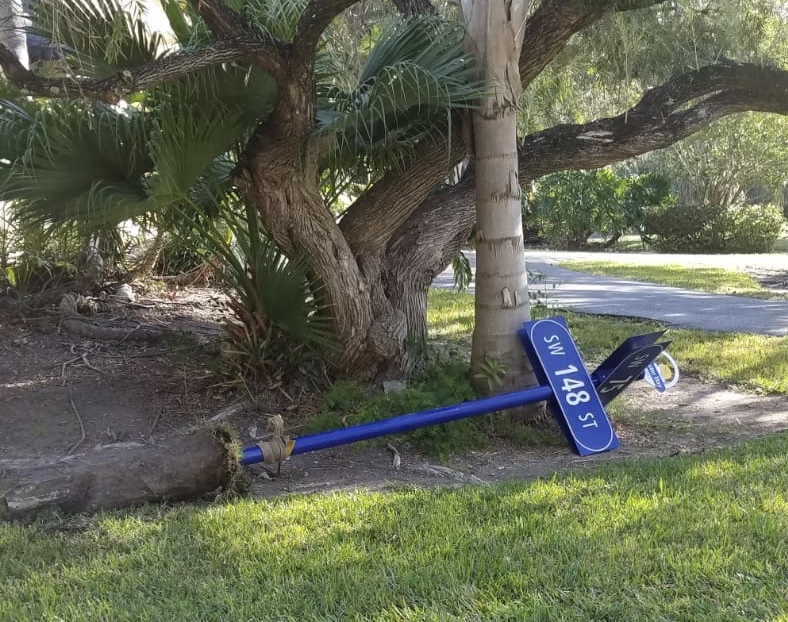 Eugene Flinn - South Dade Updates: Removal of Palmetto Bay Street Sign - required to get a large utility pole through a tight turn in a Palmetto Bay neighborhood. Updated 1/16/19- PBay Public Services required to revise the re-installation of the street sign. Removal of Palmetto Bay Street Sign - required to get a large utility pole through a tight turn in a Palmetto Bay neighborhood. 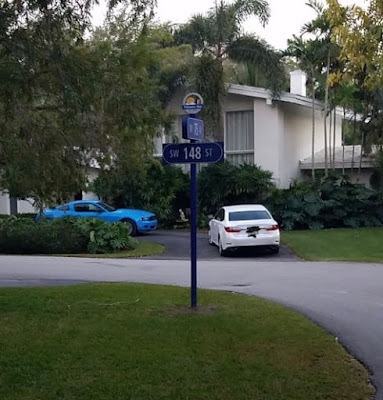 Updated 1/16/19- PBay Public Services required to revise the re-installation of the street sign. UPDATE - The street sign was put back in place as of Tuesday, January 15, 2019 - photo sent to me by a FOSDU. ADDITIONAL UPDATE: (Jan., 16, 2019) Surprise, the FOSDU was advised that FPL did not use any concrete when reinstalling the street sign. 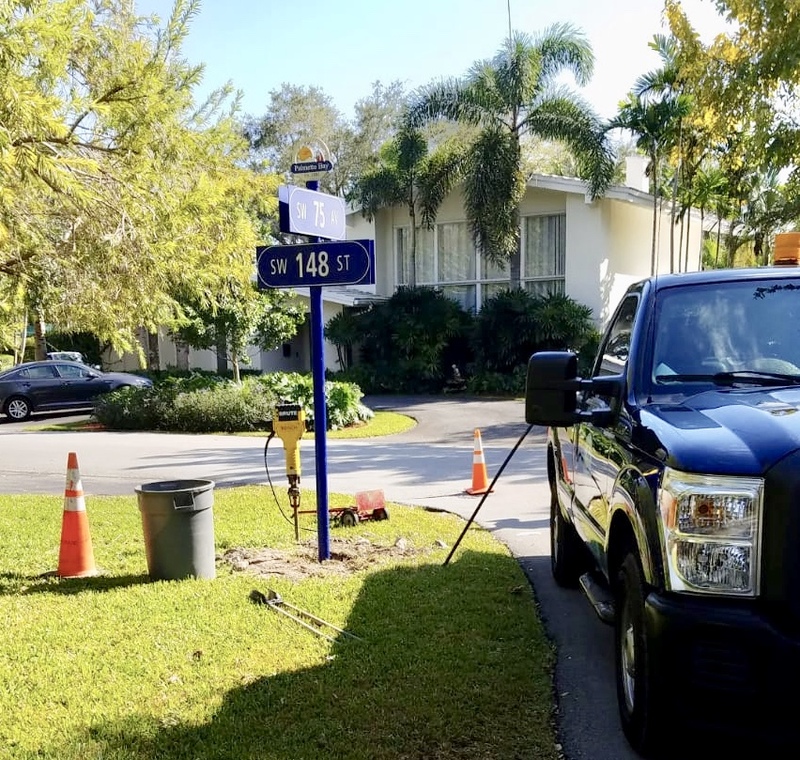 Palmetto Bay's own Public Services team stepped in to correct this situation. The FOSDU was told that FPL will be back charged for the work. SDU EDITOR'S NOTE: This was just a street sign. I sure hope that the installers properly installed the 60' pole properly! Below is a video of the truck and the pole passing by Palmetto Bay homes. Who ordered the pole?